The cyberspace was born in the military field. For example, the first computer, the APA network and the GPS navigation system all originated from the military. Today, cyberspace security has been closely related to national security, and the military has once again become the protagonist of maintaining national cyberspace security. Whether it is facing normalized network penetration or large-scale cyberattacks, it is urgent for the military to move from defending the “network camp gate” to guarding the “network country gate”, breaking through the traditional military mission and mission, breaking through the traditional war preparation mode. With a new network of national defense thinking, the founding of the network era of the country’s strong shield. Cyberspace is not only related to the maintenance of national strategic interests, but also directly affects political, economic, cultural security and social development. It has also become the blood and link of modern battlefield joint operations. The Chinese military cannot be limited to maintaining the internal network security of the military camp. It must also actively adapt to the trend of the times and take the responsibility of the country that guards the “network country.” The strong army of the Internet is an important part of the construction of a network power. From the “network camp door” to the “network country door” is the inevitable trend of the development of the domestic and international situation in the information age. Guarding the “network country door” is forced by the cyberspace security situation. As the first major Internet country, China’s security situation is not optimistic, and strategic opponents have never stopped preparing for our network operations. The United States, Britain, France and other countries are actively preparing for cyberspace, giving military functions through cyberspace security legislation, developing cyber warfare forces, developing cyber warfare weapons and equipment, and advancing war to the “fifth space” of mankind, especially in China. In the historical process of the rise, the Western countries used the means of network technology and communication to implement uninterrupted harassment, subversion and cyberattacks under the leadership of the Cold War mentality and the containment subversion strategy, which seriously affected the security and social development of our country. China gradually became National security is at great risk for the hardest hit by cybersecurity threats, the test sites for virus attacks, and the destination of conscious penetration. In the coming period, as a new emerging country, China’s conflicts of interest with other parties will intensify. Strengthening the network defense strategy and strengthening the operational readiness of cyberspace are the inevitable ways to actively strive for the dominance and discourse power of cyberspace, and also the rise of China. The only way to go. As the main force of national security and stability, the military must adapt to the characteristics of cyberspace and become the backbone and main force to resist network intrusion and network subversion, and safeguard national security and social stability. Winning cyber warfare is the trend of new military revolution in the information age. As one of the most advanced productivity in the information age, network technology has made cyberspace warfare a dominant factor guiding the evolution of modern warfare and affecting the overall situation of war. In recent years, from the “seismic net” attack in Iran, the cyber warfare in the Russian-Georgian conflict, the large-scale obstruction of the Ukrainian power grid , and the cyberattack of the US military against IS, the huge role played by cyberspace in actual combat has gradually emerged, indicating that cyber warfare Has become an important style of future joint operations. The US military attaches great importance to the construction of cyberspace armaments, the establishment of the Cyberspace Command, the launch of cyberspace joint warfare, the extensive expansion of cyber warfare forces, the maintenance of its cyberspace hegemony, and the formation of cyberspace control capabilities as a “third offset strategy”. “Absolute advantage is the most important competitive content. Effective network warfare is an inherent need to accelerate the construction of a network powerhouse. In the process of China’s development from a network power to a network power, it is inseparable from the strong cyberspace military power as a guarantee. The international competition in cyberspace is a comprehensive game of the country’s comprehensive strength. Among them, the quality of network military capacity building is directly related to national security and stability, and it is the core element of the entire national security field. At present, the interests of countries in the world in the cyberspace are mutually infiltrated, and there is a situation in which you have me, I have you, cooperate with each other, and develop together. However, this kind of common development is not equal. The US and Western powers have taken advantage of the cyberspace dominance, and have already achieved certain network warfare advantages, which has made my network development and interests subject to people. How the military can fulfill its mission of defending the earth in the construction of a network-strength country, the premise is to form a network environment capable of curbing the crisis, controlling the opponent’s network attack and defense capabilities, and ensuring peaceful development. From “keeping the soil and being responsible” to “protecting the net and defending the country”, the new situation requires the military to undertake new tasks. The military is the main force and pillar of national security, and cyberspace is no exception. The National Security Law, which was enacted on July 1, 2015, stipulates: ” Citizens of the People’s Republic of China , all state organs and armed forces, political parties and people’s organizations, enterprises and institutions, and other social organizations have the responsibility to safeguard national security. And obligations.” The Cybersecurity Law, promulgated in November 2016, emphasizes the need to maintain cyberspace sovereignty and national security. On the basis of the laws of these two countries, on December 27, 2016, the “National Cyberspace Security Strategy” (hereinafter referred to as “Strategy”) was officially launched, providing overall guidance for creating a new pattern of network powers at a new starting point. Basically follow, clearly put forward nine strategic tasks, further embodying the mission of the military in the process of building a network power. Cyberspace sovereignty is the core interest of the state and an important component of national sovereignty. It indicates the independence, equal, self-defense and management rights of the state in cyberspace. A once hostile forces violated my cyberspace sovereignty is tantamount to a violation of national sovereignty physical space of my land, sea and so on, China will have the right to take all measures, including military means, including giving resolutely fight back. Internationally, the United States has long proposed a cyberspace deterrence strategy, declaring that attacks on US network information facilities are equivalent to war acts, and the United States will take military strikes to retaliate. Military means is a means of safeguarding national sovereignty and plays a vital role in safeguarding national cyberspace security. Therefore, the military, air, sea and air military forces have been given the historical mission of protecting the cyberspace sovereignty. They must rely on the powerful physical space to defend the national interests of cyberspace and effectively deter the hostile forces from cyber-damaging attempts. Preventing problems before they occur requires the state to have the means to cope with and deal with these dangers, and to have the powerful force to prevent, stop and legally punish cyberspace violations. Defending the country has always been an unshirkable historical responsibility of the military. The inherent mission and mission have determined that the Chinese military must assume the role of taking various measures in the cyberspace to safeguard the country’s political, economic, cultural security and social stability. The strategic mission of both offensive and defensive, the military must be a strong backing to enhance the ability of cyberspace protection. The third and eighth items of the Nine Major Tasks in the Strategy clearly state that all necessary measures must be taken to protect critical information infrastructure and its important data from attack and destruction, and that technology and management should be adhered to, protected and shocked; We will build a network space protection force that is commensurate with China’s international status and compatible with the network powers. We will vigorously develop network security defense methods, timely discover and resist network intrusion, and build a strong backing for national security. Among all the political, diplomatic, military, and scientific and technological capabilities of the country to maintain security, military power has always been the foundation and support for all capabilities, the fundamental guarantee for all capabilities, and the ultimate support for national security. Therefore, the military must undertake the strategic task of strengthening the national cyberspace protection capability. In the real society, the military is the reassurance of safeguarding national security. In the cyberspace, it should also become the security dependence and guarantee of the people. As an important part of the national cyberspace protection capability, the military must achieve both offensive and defensive capabilities, and the ability to resolutely safeguard the interests and security of the country and the people in cyberspace, and effectively eliminate the various crises caused by cybersecurity threats. The turbulence of thoughts enables the people to truly feel that production and life are effectively protected and become the confidence of the people of the whole country in their confidence in the national network protection capabilities. The global responsibility of UNPROFOR, the military must be an important support for maintaining global cybersecurity. The last item of the “Strategy” mission clearly proposes to strengthen international cooperation in cyberspace, support the United Nations in playing a leading role, promote the development of universally accepted international rules on cyberspace, international anti-terrorism conventions on cyberspace, and improve the judicial assistance mechanism for combating cybercrime, deepening International cooperation in the areas of policy law, technological innovation, standardization, emergency response, and protection of key information infrastructure. The globalization and unbounded nature of the Internet determine the international demand for combating cyber terrorism and transnational cybercrime. The military should promote military cooperation between countries in the framework of the UN Security Council and use the strategies and technologies of the Internet era to establish joint defense and joint defense. Mechanism to effectively safeguard the security of the national and world cyberspace. Under the new historical situation, cyberspace puts forward new requirements for the military training and preparation mode. It should adapt to the new characteristics of cyberspace and the new mission of the military to carry out innovative reforms on the traditional model, strengthen the country’s military objectives, and strengthen macro-coordination. Focusing on the legal needs of cyberspace military operations, it closely follows the natural attributes of cyberspace “military and civilian integration”, builds a network security attack and defense system that combines peacetime and warfare, and builds a network defense force of “military and land use”. At present, it is necessary to clarify the duties and responsibilities of the cyberspace military from the legal level. It should be based on the National Security Law and the Cyber ​​Security Law, and introduce the network defense law and related cyberspace military operational regulations, for the construction of the network defense field and military. The action provides regulatory support and a program of action to make the military’s responsibilities and mission in cyberspace more specific and specific. First, further define the network sovereignty and network frontier through the network defense legislation, and clearly define the scope of the military. The integration of military and civilian provides an innovative driving force for the construction of a network powerhouse. The integration of military and civilian is the main method for the world power to enhance the competitiveness of cyberspace. For the construction of China’s network powerhouse, building a military-civilian network security attack and defense system and developing a military-land dual-use defense information infrastructure is to inspire the innovation of military cyberspace combat capability. Source. The second is to issue guidance on the in-depth development of cyber security military-civilian integration as soon as possible, and gradually carry out basic legal research and demonstration of military-civilian integration to guide the development of medium- and long-term military-civil integration. Third, relying on the country’s existing public mobile communication network, optical fiber communication network and satellite system, the military and civilians will build an information infrastructure covering the entire army of the whole country, and realize the unified construction and sharing of military and civilian. Military-civilian joint training provides a practical environment for the generation of cyberspace military capabilities. The military-civilian sharing characteristics of cyberspace make military-civilian joint training an important means of military training in cyberspace around the world. The cyberspace joint military and civilian exercises in the United States and NATO countries have formed a series of series. The “Network Storm” and “Network Guardian” drills have attracted the participation of governments, enterprises, research institutions and even civilian hackers. Our military cyberspace military strength training also needs to attract a wide range of civil forces to participate. First, do a good job in military-government cooperation, establish a military-civilian joint offensive and defensive drill mechanism, learn from the red-blue confrontation training methods in the cyber war drills of developed countries such as the United States, actively build a “national network shooting range”, plan a series of joint exercises of the government and non-government organizations, and enhance the integration of the military and the people. The level of attack and defense of the network of the government and the people. The second is to do a good job in military-enterprise cooperation, relying on net-based enterprises to set up a training field on the Internet, to promote the ability of attack and defense between the military and civilians, and jointly improve the ability to prevent unknown risks. The third is to organize private network security companies and hacker talents, carry out network security competitions and other activities, and mutually verify each other to jointly improve the level of network security protection technology and tactics. The network reserve service provides a source of strength for building a powerful network army. As a backup supplement to the national defense force, the reserve has both military and civilian characteristics and is a powerful measure to realize the organic unification of the development of cyberspace economy and national defense. First, it is led by the national security department, and overall planning is carried out according to national interests. A series of laws and regulations conducive to the construction of the network national defense reserve are introduced, and the main division of labor, promotion strategy, interest coordination, etc. of the military and civilian construction in the network defense reserve construction are solved from the top level. problem. The third is to focus on the reform of the military and local management models. 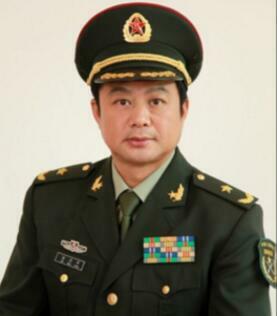 Based on the management mechanisms of the provincial and municipal governments, the military, and local enterprises and institutions, the network will establish a network of national defense reserve personnel to jointly cultivate and use the mechanism, improve the national emergency mobilization mechanism, and establish a national network defense special talent. The database will include the construction of network militia and reserve forces into the scope of mobilization of the people’s armed forces. In normal times, they will be incorporated into the militia emergency detachment for training. In an emergency, they will select the elite personnel to participate in the non-war military operations missions, and will be recruited and used as needed during wartime. To transform the national defense potential into national defense strength.